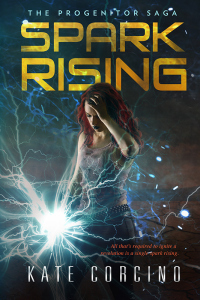 After a lifetime worth of waiting–well, it feels like it!–SPARK RISiNG is live. As of this morning, it is available on Amazon and Barnes&Noble for $3.99. The print proof is finally on its way to me, and if all goes well (fingers crossed!) it’ll be approved and available to purchase as a paperback by the end of the week.